What do you picture when someone mentions the word “hiking”? Do you picture mountains, forests, and waterfalls? Do you picture gazing at the valleys below from mountain lookouts? On the other hand, do you not picture beaches, flat lands, and razor sharp palmettos of the southern landscape? All of these things can be found in Florida in abundance, with limited places with the hiking cliches. Knowing this, let me ask you, can you really go hiking in Florida? 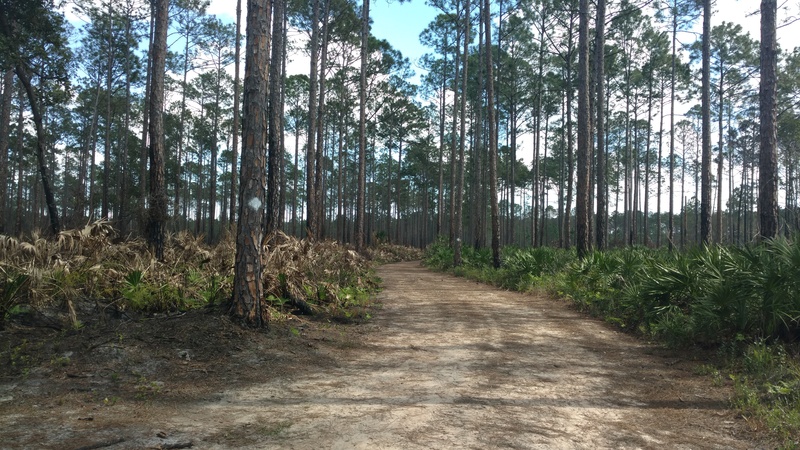 According to Webster’s dictionary a hike is, “A long walk especially for pleasure or exercise,” In reference to this definition, a hike includes the walking through the ocean of telephone pole pines that are all too common in the Florida landscape. So, if Webster is to be believed, why is there still no hiking in Florida? Honestly, I don’t have answer without starting a troll war in the comments, but I do however have a guess. Florida, despite its beautiful landscapes that can be found around the state, we still don’t have the variation in elevation or the beautiful lookouts like many other parts in the country. I would be lying if I didn’t long to be up north when I see the repetitive pine tree that don’t provide any shade when battling the afternoon heat and sun. I have also heard the argument that the flat elevation gives you less of a challenge, to that I can only say come join us for a hike during the summer time. 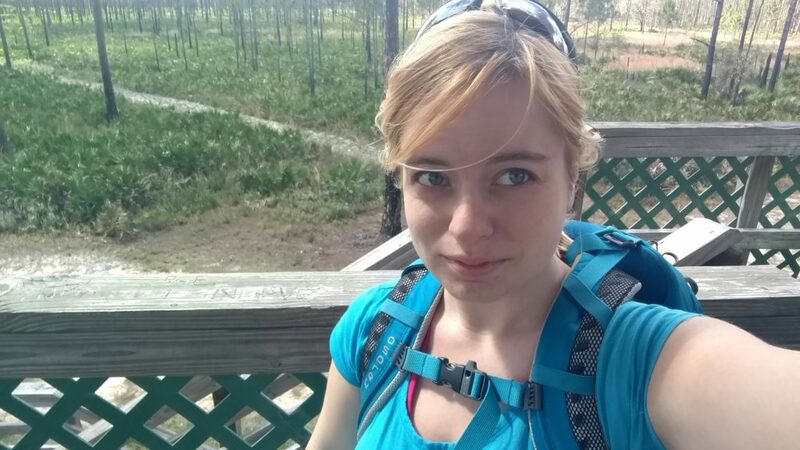 So why should you hike in Florida and can you even do so? 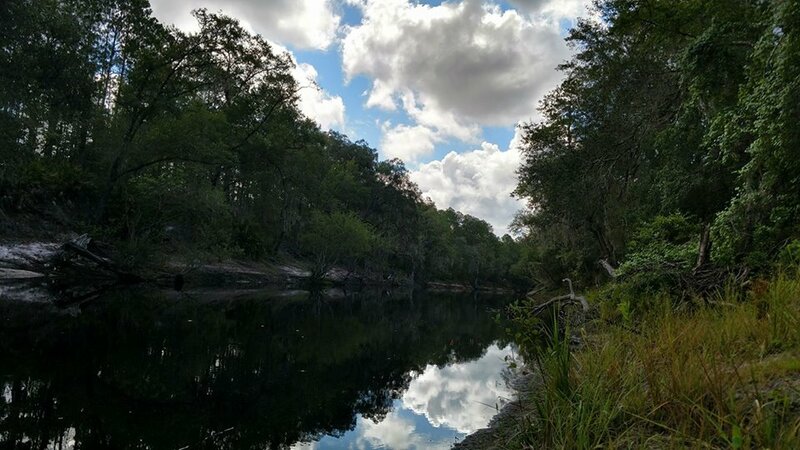 Does the lack of mountain scenery, and the fear of an alligator and a snake ambush make conquering the outdoors in Florida even worth it? Even though our waters are mainly known for our overgrown “lizards”, the water systems are absolutely beautiful, even our underrated swamps. Of course, we have the ocean, but our rivers have a mirror finished that you will be hard-pressed to find in the rest of the country. In North Florida our waterways are often outlined by beautiful Live Oaks with Spanish moss trappings. All of these are sights to behold, and no overlooks are even required. So is there hiking in Florida? It may be up to your own interpretation of what a hike is really like but according to my own and Webster’s definition there certainly is. Personally, I like to think that hiking is more of a quest of exploration, rather than a list of categories that must be crossed off from a list. It carries the danger of discouraging future hikers from getting outside, and enjoying the great outdoors due to not fitting into a certain category. Isn’t the point of sharing your adventures and your wisdom to get more people outside and enjoying the hiking trails? From the cold mountains of Alaska to the heat filled beaches of Florida, remember to get outdoors and explore more. I couldn’t agree more with the idea that hiking is ‘more of a quest of exploration’. I often want to be outside and roaming just so I can think clearly, that endless internal exploration! Also, who doesn’t want a flat hike sometimes? CRAZY people?